We’ll be adding things to the site over the next few weeks but it’s live now so feel free to explore. 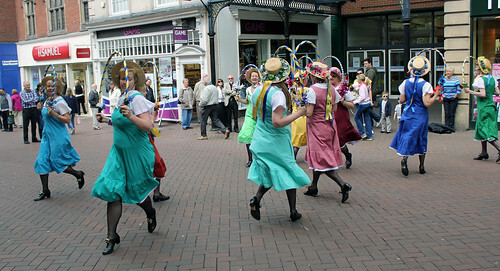 Shrewsbury Morris – website under construction! Our new website should be fully completed by October 18th – in the meantime we ask you to bear with us during the change over. You can find out more about us on Twitter or on Facebook or simply admire this lovely photograph of the Shrewsbury Lasses dancing at the top of Pride Hill in Shrewsbury earlier this year.